Kitchen Local events and classes open to the public are listed below. However, did you know that private culinary classes and small gatherings at Kitchen Local are also available for individuals and groups? What a wonderful way to celebrate a special occasion, practice team building, gather with friends or hone your culinary skills. Our modern, commercial chef's kitchen and adjacent restored mill event/dining area is the perfect setting! Contact... lisa@kitchenlocal.com for more information. Who said that an evening in the kitchen isn't fun? Enjoy a delicious and memorable night out... no shopping and no cleaning! 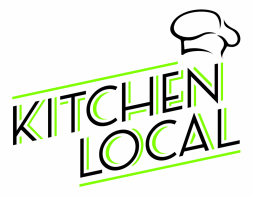 Chef Krisztina, Owner/Chef of The Wooden Spoon Catering Company, will lead this hands-on cooking class as participants team up in Kitchen Local's commercial chef's kitchen to prepare a full menu of "cocktail hour" themed recipes! Afterward, everyone will sit down in the dining area of our restored mill building to enjoy the buffet of full menu creations. BYOB and an apron! $65/person. Contact krisztina@thewoodenspooncateringcompany.com to reserve your spot. Space is limited and reservations are required.